Crustaceans are increasingly used as model organisms in all fields of biology, including neurobiology, developmental biology, animal physiology, evolutionary ecology, biogeography, and resource management. One reason for the increasing use of crustacean examples is the wide range of phenotypes found in this group and the diversity of environments they inhabit; few other taxa exhibit such a variety of body shapes and adaptations to particular habitats and environmental conditions. A good overview of their functional morphology is essential to understanding many aspects of their biology. This volume is the first in The Natural History of Crustacea series, a ten-volume series that will treat all aspects of crustacean biology, physiology, behavior, and evolution. The series updates and synthesizes a growing wealth of information on the natural history of this remarkable group. 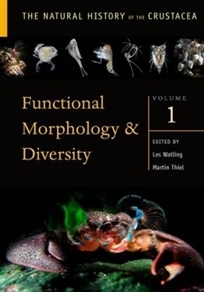 Functional Morphology and Diversity explores the functional morphology of crustaceans, which cover the main body parts and systems. The book brings together a group of internationally recognized-and up-and-coming-experts in fields related to systematics and morphology. Contributing authors study a range of crustacean taxa and topics, and thus the volume provides a compact overview of the great phenotypic diversity and their function found among crustaceans. The first broad treatment of Crustacea in decades, the book will be invaluable for researchers and students in this and related fields.